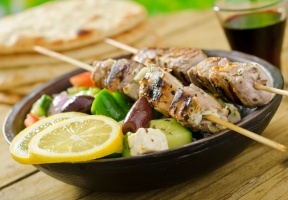 Enjoy the feta, tzatziki, roasted chicken and more signature Mediterranean flavors at this two-day festival in Greektown, which offers tasty dishes cooked by some of the neighborhood’s most beloved restaurants. The weekend also includes live music and activities for kids. Oz Park: 2021 N. Burling St. The annual celebration will include free school supplies, immunizations, yearly school physicals, health checks and more. Please make sure to bring school forms and medical records for physicals and immunizations. Vendors from an array of businesses will be available promoting better health. Like other summer festivals, Taste of Pulaski will offer residents the opportunity to experience first-hand the diverse neighborhood of Archer Heights through food and music. What sets Taste of Pulaski apart from everyone else is that they’ll be giving out free back-to-school haircuts and donate the event profits to the Dreamers at Curie high school.